What you quickly realise about The Booth is that it has ambitions not only to be one of the leading craft breweries in South Korea but also internationally. Having already opened a brewery in California, it is the first Asian craft brewery to brew in the US. The Booth was founded in 2013 by Heeyoon Kim, an Oriental medicine doctor, Daniel Tudor, a writer for the Economist and financial analyst Sunghoo Yang. The trio left their jobs to pursue a shared love of craft beer under their mantra, ‘follow your fun’. We meet at the brewery’s Kyunglidan pub, a few doors along the street from Magpie’s. Sharing one of its gigantic American-style pizzas and a deliciously fresh pint of possibly one of the murkiest New England IPAs we’ve ever seen, Heeyoon and Sunghoo are excited to share their company history with us. It begins with a craft beer road trip across the United States, ending at the Mikkeller bar in San Francisco. Inspired to email Mikkel Borg Bjergsø, they asked if they could import his beers to Korea. 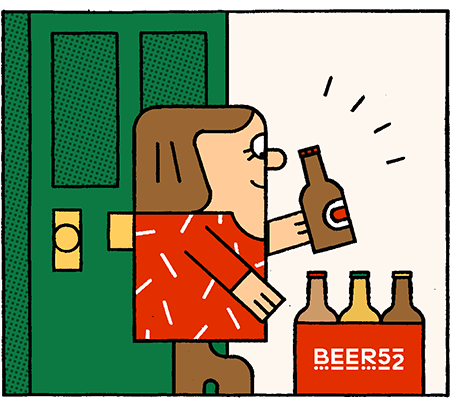 From there, a partnership blossomed, and they went on to open the successful Mikkeller bar in Seoul. Ultimately though, their dream was to create their own brand, so along with Daniel, they joined the then fresh-faced Korean brewing scene. 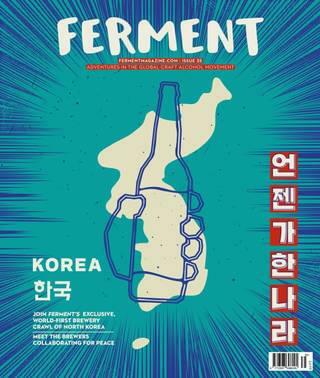 Part of their drive to make great beers in Korea came from a now-famous Economist article that Daniel wrote in 2012. In an infamous article titled ‘Fiery food, boring beer’ he concluded that the duopoly in South Korean brewing had resulted in such tasteless macro lagers that even North Korea’s Taedonggang was better. This was a sort of national embarrassment at the time and The Booth’s founders took it upon themselves to do something about it. The Booth’s collaboration with Mikkeller, called ‘Tae(dong)gang’ Pale Ale, was their triumphant answer to this challenge. Daniel went on to visit North Korea to study how capitalism was beginning to develop and even flourish in the underground economy. He shared what he learned through a best-selling book on the topic, North Korea Confidential. Originally contract brewing its beers, The Booth has since opened a small production brewery in Pangyo, near Seoul, which is where its brewer, Jinsu Lee, works. “When we started working here, the founders said to me as a brewer ‘just make great beer’,” he says. Unlike a production brewery, they weren’t concerned about which ingredients the brewer chose or what quantities they used in their recipes, so long as the product would be the best it could be. With seven pubs throughout Seoul, the company is expanding at breakneck speed and now employs more than a hundred people. It hosts the largest craft beer festival in the country, The Beer Week Seoul (TBWS), attracting more than 20,000 drinkers for a celebration of the best of both local and international beers. Collaborations with coffee roasters, movies, community groups and apparel brands have helped it to spread its message beyond the core craft beer demographic. “One of the strengths of our company,” Namkyung Lee from their marketing team says, “is that we are focussed on making really good beer, but also finding interesting ways to introduce it to people who’re just discovering craft beer.” They hope these collaborations make craft beer more accessible. One of its successful projects has been with the LGBTQ community: a ‘smoothie’ milkshake IPA, which has raised funds for relevant NGOs, a bold statement in conservative Korea. The team has also served their beers at queer movie festivals, and as part of The Booth’s sponsorship of Seoul International Women’s Film Festival.